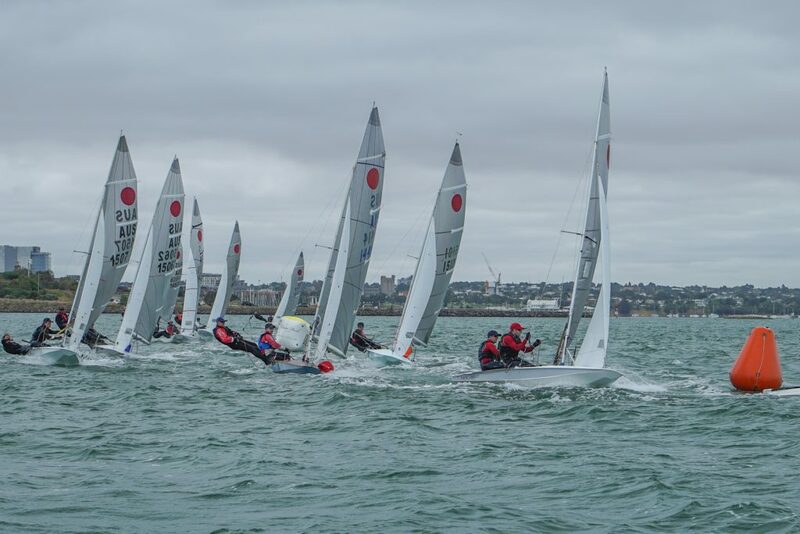 Black Rock Yacht Club’s Heather Macfarlane and Chris Payne have jumped off to a flying start after the opening day of racing at the 2019 Fireball Nationals, hosted by the Royal Geelong Yacht Club. Sailing ‘Not Your Average Rockstars’, Macfarlane and Payne took the opening two championship races of the regatta by slim margins in what was a comfortable 15-knot breeze that built slightly throughout the day. FULL RESULTS are available via the Royal Geelong Yacht Club website. Racing began with an initial short course practice race, before the first two championship races got underway immediately after. 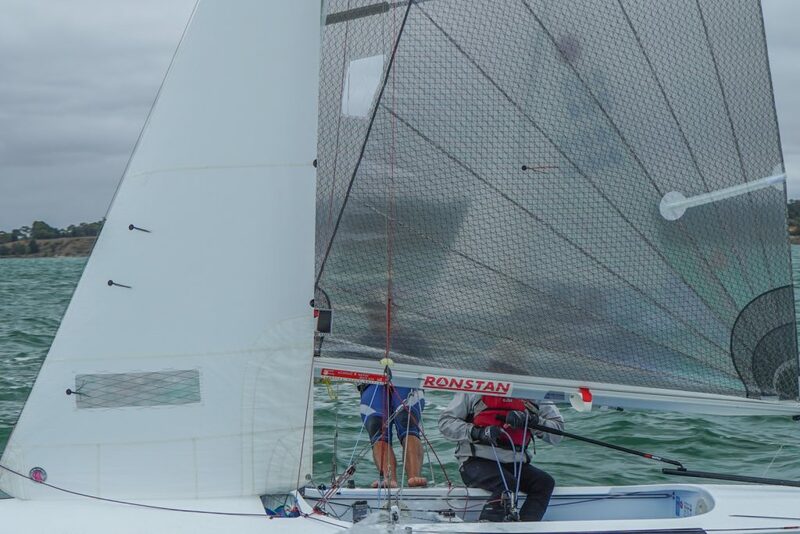 Sitting second overall after day one was Tom Gordon and Jack Fletcher from the Largs Bay Sailing Club in ‘Cletus’, who ended their day with two third places. Behind them was reigning national champions John Heywood and Brett Littledike in ‘Renegade’ who finished the day with a fifth and a sixth. It goes to show the quality of the fleet as both boats that took second places over the line in either race also finishing 17th and 20th respectively in their other race – consistency will no doubt be the key to success this year. 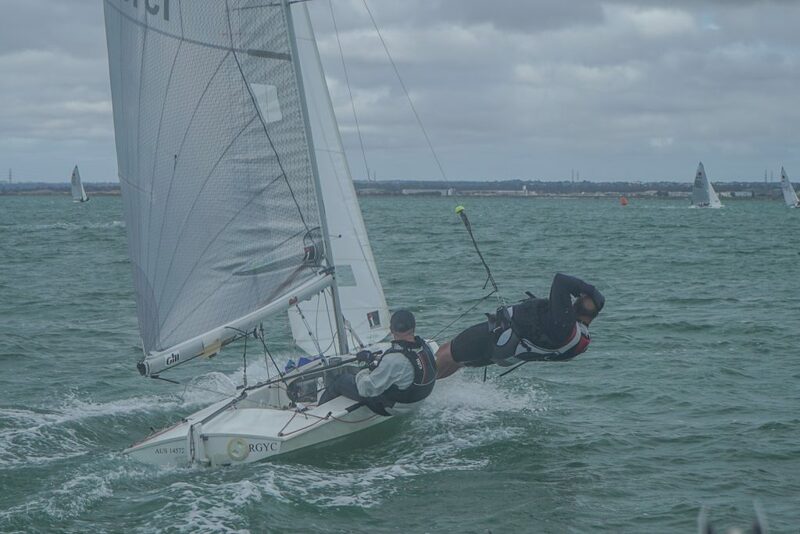 The first-placed under 21 after the first day was Sophie Jackson and Andrew Perry from the Mornington Yacht Club sailing ‘Paranoid’, who are sitting sixth overall with a 10, 7 scorecard. With two more races scheduled today (Tuesday) and 10 total races scheduled for the series, there is sure to be a few position changes as the first drop comes into play.